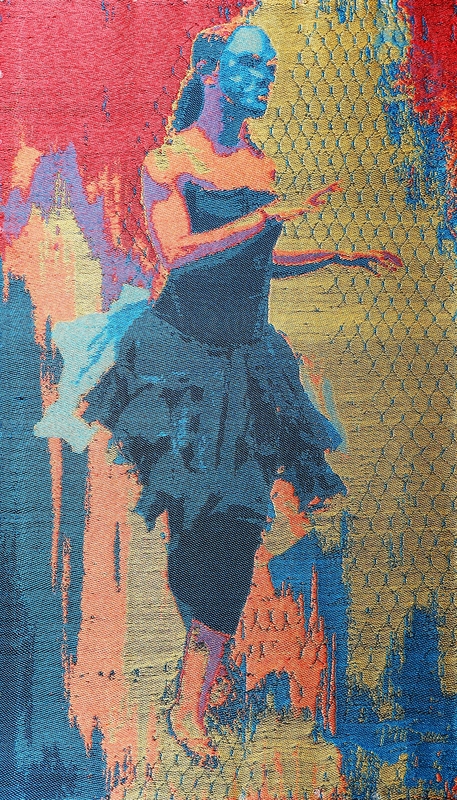 KARINE BALLET tapestry Jacquard hand woven - Paulette Marie Sauve fine art, mixed media paintings, and weaves tapestry. 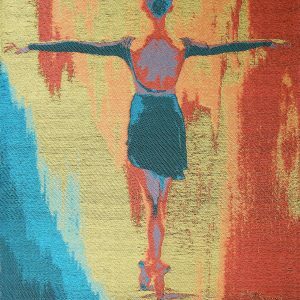 Karine Ballet is a hand woven Jacquard TC2 loom tapestry, with a cotton warp and bambou weft. 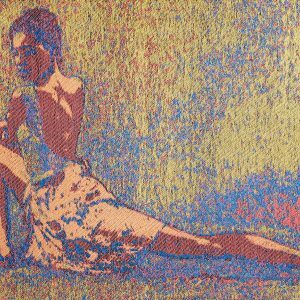 / Cette oeuvre intitulée Karine Ballet est tissée à la mains sur un métier Jacquard TC2. La chaîne est en coton, et la trame est en bambou. Karine, is a university student of Psychology, and is also a fabulous dancer. Here we can see her in an elegant ballet pose, wearing a lovely Mardi Gras costume . 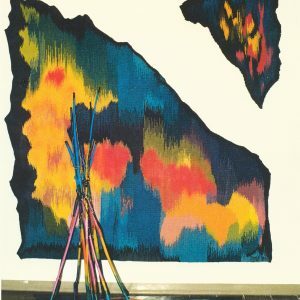 This tapestry measures 27 inches wide by 46 inches high. 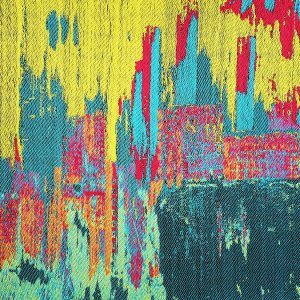 Handwoven tapestry, and a One Of A Kind, original.